Featuring UCB and Second City performers. Watch or participate from anywhere in the world, with or without a VR headset. Have you ever wanted to learn Improv? This popular acting style is being taught in the safety of virtual reality. 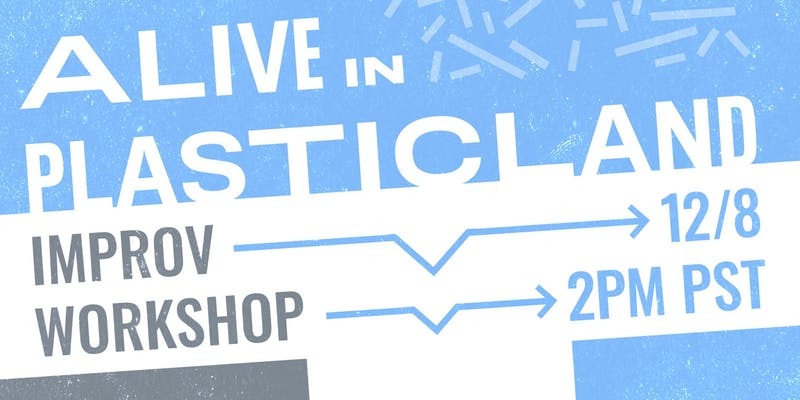 Alive in Plasticland is a workshop that will feature games and techniques to help you learn this popular acting style in a fun social atmosphere. Improv theater has been the driving factor in many popular TV shows and movies. Everyone is encouraged to join this safe and creative environment. Especially if you've always wanted to try but have been hesitant. Alive in Plasticland works with performers and artists across practices through immersive technologies including virtual reality. Professional improv actors and teachers in the NYC theater scene create this VR Improv Troupe, the first of its kind in the VR industry. 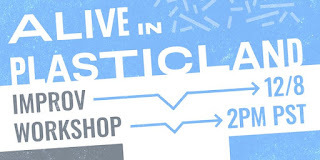 There is a $5 suggested donation for this workshop. It can be paid directly to the acting company using High Fidelity Coin - stable cryptocurrency - from your wallet at the event. Special thanks to sponsor VRBAR, Brooklyn's First Virtual Reality Arcade, for hosting the performers.